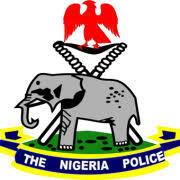 The Rivers state police command have confirmed the death of two policemen and a driver during a gun battle with suspected kidnappers, on Wednesday, along the Woji Alcon road. The police public relation officer, Nnamdi Omoni, said the incident happened between the hours of 9-10pm near Welcome U mall, while trying to kidnap an expatriate who works with Total. The foreigner was later abducted by the bandits. Eyewitness account said the kidnappers ambushed the convoy, shot and killed the policemen and the driver before whisking away their target.